Filed under holiday decorating with tropical flowers, tropical christmas flowers, tropical christmas table centerpieces, tropical flowers for christmas, tropical holiday flowers. The temperature is dropping and the snow is falling. While mother nature prepares for winter by coating herself with a warm blanket of snow, we begin preparing our homes for the winter season as well. We stock our porches full of wood to feed the fire, we fill our linen closets with blankets to keep us warm at night, and we put our slippers by our beds and dream of digging our feet into the warm sand on a tropical island. Bring your dreams to life by adding a touch of the tropics to your home. The vibrant reds and greens are sure to liven your senses and lighten your mood. Instead of decorating your home with the traditional holiday flowers, try for something different this year. Deck the halls with December’s flower of the month, Red Ginger. This native Malaysian plant makes a great accent to any bouquet or looks great alone, with its brightly colored red bracts. Red Ginger grows in many Central American regions as well as Hawaii, where the flower is extremely popular. 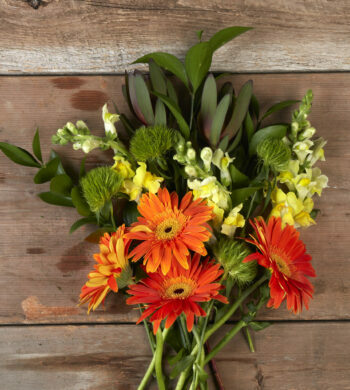 Immediately remove all flowers and foliage from its packaging and soak in lukewarm water for about 10-15 minutes. 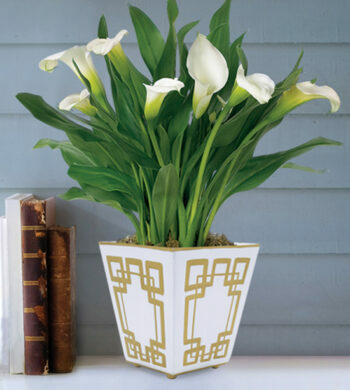 Trim 1/2 – 1 inch off the stems and place in a vase with fresh water. Mist with water daily and keep them from direct breezes or sunlight. Every 2 – 3 days, re-trim the stems and replace the water. Anthuriums come in a variety of colors and species, and grow in the most diverse habitats, mostly in the tropical mountainous regions of Central America and South America. They are also cultivated in Hawaii, where cuttings from the plant are used in floral arrangements for all occasions, including weddings. 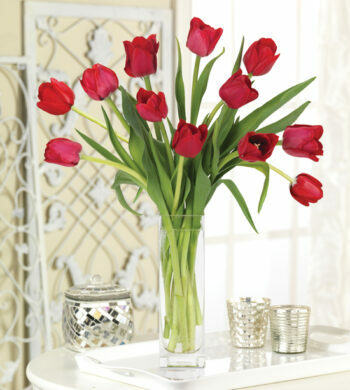 The shiny red flowers make a perfect accent to any home during this holiday season. The Sago Palm is not a palm, but rather a Cycad, which is a plant that is very primitive in its origins, predating the dinosaurs. Often referred to as “living fossils,” Sago Palms have shown little evolution over the millions of years since their origin. In Japan, the Sago Palm is commonly used as a potted plant and is quite popular as a bonsai plant due to the fact that its size can be stunted depending on the size of the container it is grown in. These fascinating plants are relatively easy to care for and provide a small touch of the tropics year-round. Place the plant inside near a bright window. During the warmer months let the top 1/2 inch of soil dry out between waterings and in the cooler months, let the soil dry completely between waterings. Try to avoid overhead watering, as this may cause rot and possibly total decay of the plant. Orchids are the largest and most diverse of the flowering plant families with over 25,000 species. 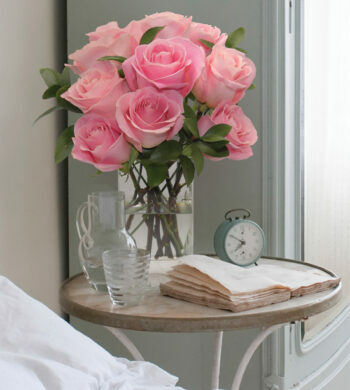 The long, elegant stems and delicate, personified flowers provide a simple, yet luxurious accent to any room in the home. Their beauty extends well beyond the holiday season and makes a wonderful christmas gift. Place the orchid where it will receive moderate light. This orchid does not like direct sunlight. It will do best with temperatures between 65 to 75 degrees. Keep orchid evenly moist, the roots should never be dry. Water once or twice a week, but be sure that the roots are not soggy. Take orchid out of basket or cachepot to water and drain. These plants like humidity between 40 -50%. Misting will help increase humidity. Fertilize once a month with a balanced orchid food at ½ strength.